I’ve raved a few times on Twitter about the interior design of MJ-12: Inception, but I think it deserves an entire blog post — if only to highlight the immense amount of work that goes into publishing a book. I think page design is very underrated. Yes, we all go crazy for covers, because covers are essentially the best advertisement a book can have. But the interior design really can have an impact on the reading experience. Most of the time, that’s subtle — chapter headings, font choices, etc. Occasionally, it can drastically affect how the story is consumed. MJ-12: Inception boasts a number of “found” documents. These are teletypes, memos, transcripts, etc., that serve to deepen the story and, let’s face it, put a really interesting gloss on what might other be some inefficient or difficult exposition. These aren’t found by the characters in the book — they’re written by those characters, among others. I wanted the reader to feel like they’re in the middle of the espionage game, secret documents included. Now, it’s not every day you get to do stuff like this. 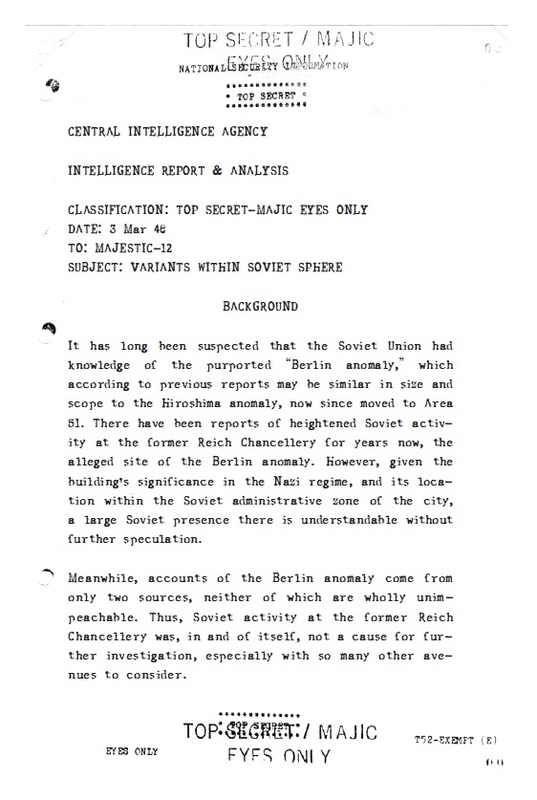 In fact, this memo was the inspiration for putting other documents in the book. Here’s another. See what we did there? I wrote the memo in character, and then the wizardly design folk at Night Shade Books made it look like it came direct from 1948, compete with rubber stamps and binder holes and TOP SECRET all over it. There’s maybe a half-dozen of these in the book, spaced out to give readers a change of pace while still keeping them hooked. So yeah, the next time you leaf through a new book, spare a thought for those designers. They’re awesome.